Communities Event Recap | Let's Collaborate! Original post on Shareable written by Francesca Pick. Whether it’s a tech company seeking to turn its customers into “brand advocates” or a not-for profit group organizing an online campaign, building an active user community is now on the agenda of many organizations. But what exactly is involved in building a sustainable community? 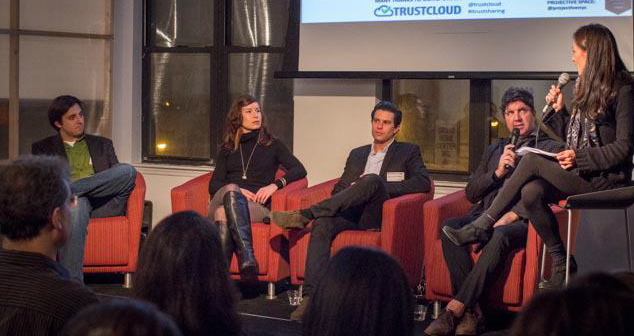 That was the topic addressed last week at Let’s Collaborate NYC, hosted by coworking space Projective Space and sponsored by TrustCloud, a provider of online trust solutions, and Shareable. 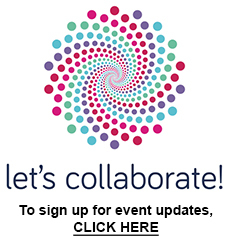 Let’s Collaborate, an event series developed to inspire and connect the collaborative consumption community in NYC, was launched in 2012 by Melissa O’Young, marketing manager at Futurethink and former advisor of the UK Government on collaborative consumption. At a panel discussion attended by over 100 people, Airbnb NYC community manager Sheila Karaszewski, director and editor in chief of Krrb Andrew Wagner, as well as Tony Bacigalupo, co-founder of NewWorkCity, and James Wahba, co-founder of Projective Space talked about the basics of successful community management. Here are some of the main points discussed. Even though there is no single recipe for community-building, the panelists at the event agreed that communities thrive most when they are based on offline interactions. Companies need to ask themselves: how can my customers use the internet to get off the internet and enable real live connections? At Airbnb, for instance, community starts with the host-guest interaction. However, communities cannot simply be “built” or planned on the basis of market research, but must grow organically, according to Tony Bacigalupo, the founder of coworking space NewWorkCity. “Communities often happen by accident,” he noted. “They don’t emerge from a vacuum.” Such communities spring up around shared convictions, activities or interests. So if you’re looking to build a community, it is smart to tap into existing networks with highly engaged members instead of starting from scratch. Listen, listen, listen. This is one of the most important things to remember when building a community, the panelists said. “Be empathetic, authentic and educate your community members. This will help them create meaningful experiences with your brand and each other,” was Airbnb community manager Karaszewski’s advice. If a user comes to you with an idea, he said, encourage and support them. Using the internet to connect with your users and learn firsthand what they think is crucial to understanding them and what they want, the panelists agreed. But don’t think this is just a one-time effort. Listening is a long-term activity that is never finished. Another challenge of community management is maintaining that special feeling that arose when the community was small and intimate even as the community begins to grow. Projective Space, for instance, has potential new members go through a selection process. “The purpose of this process is not to make it hard to become a member. We want to give people time to get acquainted with our space and find out whether it’s a cultural fit,” said James Wahba. Panelists also discussed what it takes to be a community manager, a position that is growing in significance for companies in the peer-to-peer and sharing space. What does the ideal community manager look like? If you take a look at most startups, community managers are often online marketers and Generation Y-ers, who are savvy about social media and blogging. Community managers should of course be passionate about their product and understand it thoroughly. Yet in Bacigalupo’s opinion, the scope of such a position reaches far beyond online marketing. “Community management is an upper management position that requires you to be a leader,” he said. To help community managers acquire these skills, he and his partners Alex Hillman and Adam Teterus have developed a Community Builder Masterclass that teaches students how to develop an organization and lead a community.